New York State Landlord Prosecuted – Does this Sound Familiar? 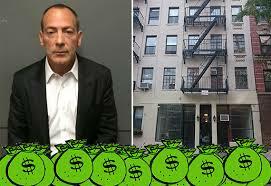 Recently in the news is the story regarding New York City landlord Steve Croman. Mr. Croman was arrested for allegedly harassing rent-stabilized tenants into leaving their apartments so that he could increase the rent for new tenants. Longtime readers of our blog will recall other posts which relate to the right to renew a lease, as well as illegal acts and evictions in New York State. Unfortunately, the current rent system in New York State, and, more specifically, mostly in New York City, gives landlords an incentive to remove tenants, especially long-time tenants, who are paying artificially low rents due to the rent stabilization laws. Of course, this does not excuse harassing and threatening tenants, but it explains why a landlord may resort to these tactics to attempt to remove tenants. The current rent stabilization system allows the landlord to increase the rent by a certain percentage when a tenant vacates. Although this percentage may vary, it is usually a twenty percent (20%) increase over the prior regulated rent. For example, if a tenant was paying $1,000.00 per month, and vacates, the new tenant may be charged $1,200.00. There may also be additional increases depending on the amount of time which has passed since the last vacancy, as well as increases if the landlord renovates the apartment in question. For buildings that contain more than 35 apartments, the landlord may collect a permanent rent increase equal to 1/60th of the cost of the apartment improvement. If there are fewer than 35 apartments, the landlord may collect an increase of 1/40th of the cost. For example, a tenant vacates an apartment. The landlord then spends $20,000.00 to renovate the apartment, including installing a new kitchen and bathroom. If the building has more than 35 apartments, the landlord can increase the rent an additional $333.33 per month (1/60th of the cost of the improvements) for any new tenant. As we can see, there can be a substantial increase in the legal, regulated rent of a rent stabilized apartment for a new tenant. A previous blog post discusses a situation where a landlord may offer a tenant a lump sum (a “buyout”) to vacate the unit. This is perfectly legal, although intimidation tactics are obviously not legal. Nor is it permissible for a landlord to withhold essential services or fail to make repairs in an attempt to “drive out” rent stabilized tenants. According to news reports, Mr. Croman used threats, intimidation and bogus lawsuits to harass tenants into vacating their units. Allegedly, he even hired a former New York City police officer, Anthony Falconite, to use deceptive tactics to gain entry into tenants’ apartments and falsely accuse the tenants of breaking rent regulations. It seems clear that Mr. Croman used these tactics to force tenants to vacate so that he could then increase the rents on these vacant apartments, and make larger profits. Does crime pay? The District Attorney’s Office is now prosecuting Mr. Croman for using these tactics. Civil lawsuits may also be filed. In the end, everyone is innocent until proven guilty. Our firm will continue to follow this case, as well as other cases involving landlords and tenants, and continue to update our readers on their outcomes. We remain available to represent tenants who believe they have been harassed or who seek a negotiated buyout from their landlord.